LITTLE ROCK, Ark. -- The Arkansas Supreme Court on Thursday struck down a city’s ordinance banning discrimination based on a person’s sexual orientation or gender identity, but it stopped short of saying whether a state law aimed at prohibiting such local LGBT protections is constitutional. 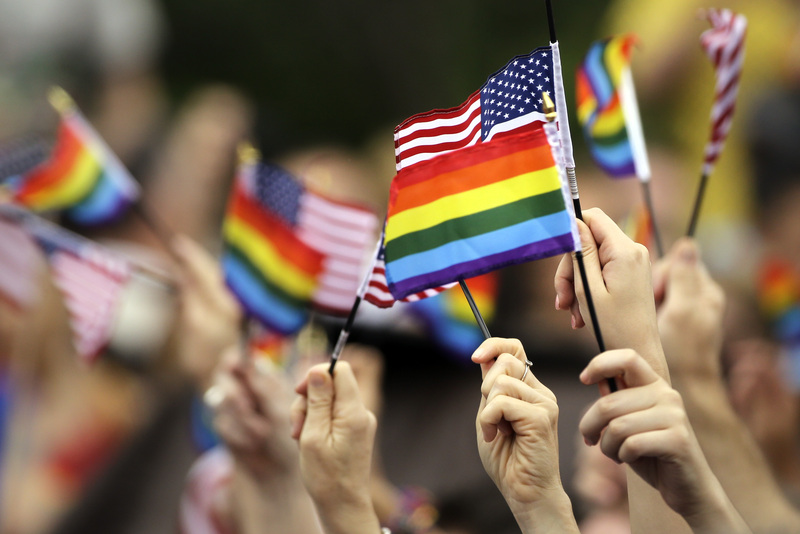 Arkansas’ civil rights law doesn’t cover sexual orientation or gender identity. In the unanimous ruling, justices rejected the argument that Fayetteville and other cities that have enacted such ordinances have made that the protections are covered elsewhere in state law. The court ruled that these other laws, included an anti-bullying law, aren’t related to anti-discrimination laws and don’t create new protected classes. They noted that the 2015 law states its intent to have uniform anti-discrimination measures in the state. The justices said they couldn’t rule on the law’s constitutionality since it wasn’t addressed by the lower court, and sent the case back to the Washington County judge who upheld Fayetteville’s ordinance. Attorney General Leslie Rutledge’s office had asked the court to uphold the state law. Fayetteville City Attorney Kit Williams said he disagreed with the court’s ruling and will now focus on challenging the law’s constitutionality in the lower court. “They can’t, by not using express terms, accomplish the same result which is truly what their intent was, which was to prevent the city from enacting protections for its gay and lesbian residents,” Williams said, referring to the Legislature’s passage of the 2015 law. Eureka Springs, a mountain resort town known as a gay-friendly tourist destination, also approved broad anti-discrimination protections for LGBT people in 2015. More limited measures covering only government agencies and contractors were enacted in the state capital, Little Rock, the surrounding county and in Hot Springs. The court’s ruling did not address whether the other local ordinances violate the state law. Little Rock and Pulaski County officials said they would continue enforcing their measures. Rutledge said in a 2015 advisory opinion that the ordinances aren’t allowed under the law, but her office said it’s too early to say whether the other cities’ protections are affected by Thursday’s ruling. “The logic of today’s ruling appears to apply to other similar local ordinances around the state, but we want to continue to look into it,” spokesman Judd Deere said. Arkansas is one of three states that ban local LGBT protections. Tennessee has a similar ban, and the prohibition is also part of North Carolina’s controversial law restricting which bathrooms transgender people can use. A state appeals court dismissed a lawsuit against Tennessee’s ban in 2014. North Carolina’s law, which prompted widespread boycotts of the state, is being challenged in federal court.